New! 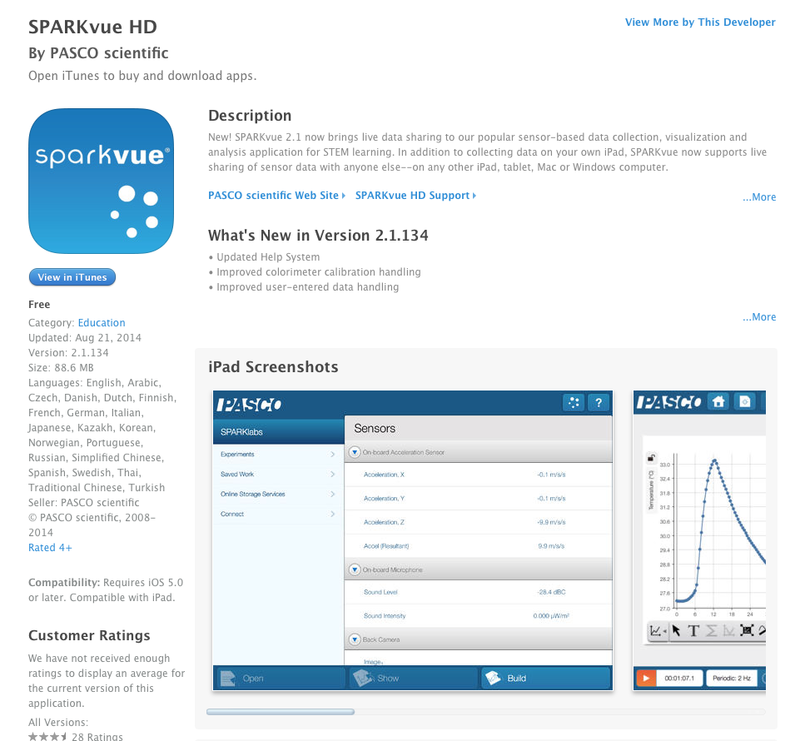 SPARKvue 2.1 now brings live data sharing to our popular sensor-based data collection, visualization and analysis application for STEM learning. In addition to collecting data on your own iPad, SPARKvue now supports live sharing of sensor data with anyone else–on any other iPad, tablet, Mac or Windows computer. ● Connect any of 70+ PASCO sensors via our Bluetooth interfaces–see pH, temperature, force, carbon dioxide level and much more–all in real time! PASCO offers over 70 PASPORT Sensors, including MultiMeasure Sensors such as the Chemistry or Water Quality Sensors, measuring multiple phenomena with just one convenient sensor box. For purchasing information, see pasco.com/iPad. SPARKvue supports 25 languages. See pasco.com/iPad for details.